Three weeks ago, it was reported that Neville was no longer under contract to WWE. Despite this, there are also reports Neville is turning down bookings saying he is not contractually free to work for other promotions. Neville’s contractual status with WWE was addressed in the latest Wrestling Observer Newsletter. There was speculation that Neville may have been asked to participate in All In as well. 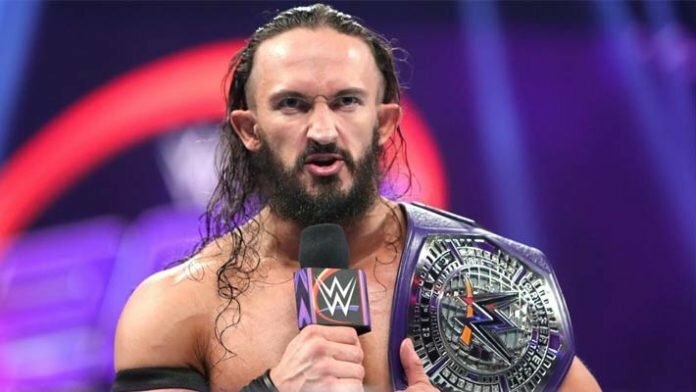 It is not yet clear when Neville will begin to take non-WWE bookings. It will be almost one year since Neville has wrestled a match. His last contest was a DQ victory over Cruiserweight Champion, Enzo Amore. The match took place on an October 1st, 2017 house show. Neville is then said to have walked out on the company. He is believed to have been unhappy with the company’s creative plans for him. Tama Tonga of Bullet Club’s Firing Squad recently said he’s interested in bringing in the wrestler FKA Pac into his stable. Where do you expect Neville to turn up next?